As your Psychic Reader and Advisor, I can help you with all your problems in life--guaranteed. Help is here for those who need it. Call me today for a brighter tomorrow. I can tell the past, the present and the future. You will receive helpful advice on all your affairs. Guaranteed to tell you the truth. I will not ask you any questions but I will tell you. Call toll free: 424-653-7045 All major credit cards are accepted. 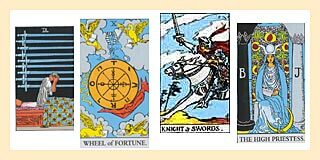 Special $15 Psychic or Tarot Card readings are now available. Speak to Your Personal Psychic Live One-on-One. I can help to reunite lovers. I will tell you who your soul mate is. Find out who your enemies are. I have over 22 years experience and all my psychic work is 100% guaranteed. If you been to rest, now try the best. Help is here for those who need it. Call now for a reading by phone. There is no time limit set on readings.